Last year I did a blog on “Mom-isms”. You know… those one-liners that cause an immediate visceral, flash-back. I can just see my Mom wagging her finger at me, “Kathleen Ann… if I’ve told you once, I’ve told you a thousand times…” And one of my favorites, “you’re not leaving the house dressed like that!” It seemed that I might have pushed the limit of her patience a bit too often. But, one-liners or hand-holding advice… Mom was pretty much always right. There was wisdom and life’s lessons passed on that I will never forget. 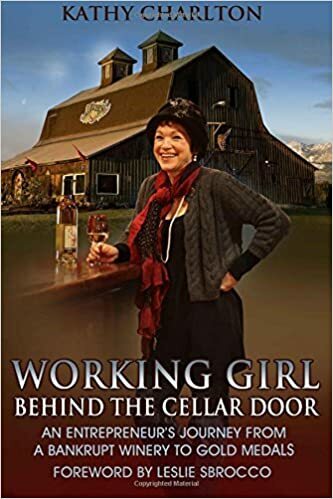 My Mom would have loved the Working Girl Wines. She was always supportive and my biggest fan. And, she expected my best at whatever I did… waitress, receptionist, telemarketer, bookkeeper, dog walker, nursing school drop-out, college, and then my first job away from home. Mother’s Day is a time to “honor” and remember. It would mean a lot if you would share “your mother’s best advice” with me and all who decide to post. Your gem might just be what one of us needs! I’m not sure how it will be determined right now, but there will be a favorite “Mother’s Best Advice” chosen who will receive a $100 gift certificate to spend as you like at Olympic Cellars or on-line.